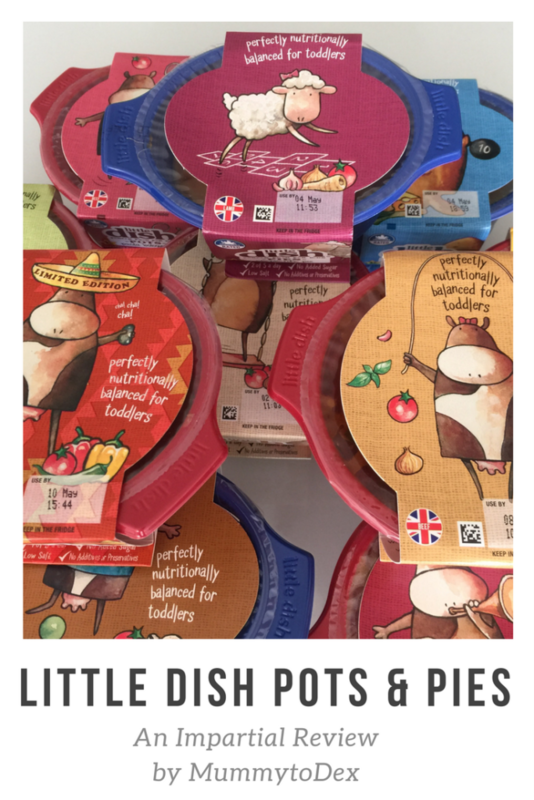 We were recently given the opportunity to review Little Dish Pots & Pies for the Mother & Baby Awards. I was so impressed with what we tried that I wanted to share with all of you guys. Now, before we begin, I just want to add that as you know we have been doing baby led weaning with Dexter since he turned six months old, however I have often fed him with a spoon when it comes to yoghurts and other similar desserts. (Sorry staunch baby led weaners! Also I don’t advise spoon feeding while starting out with BLW as it can confuse baby. Some people say combo feeding is fine, however I believe that it is only okay once BLW is properly ingrained and baby understands about different textures and chewing.) 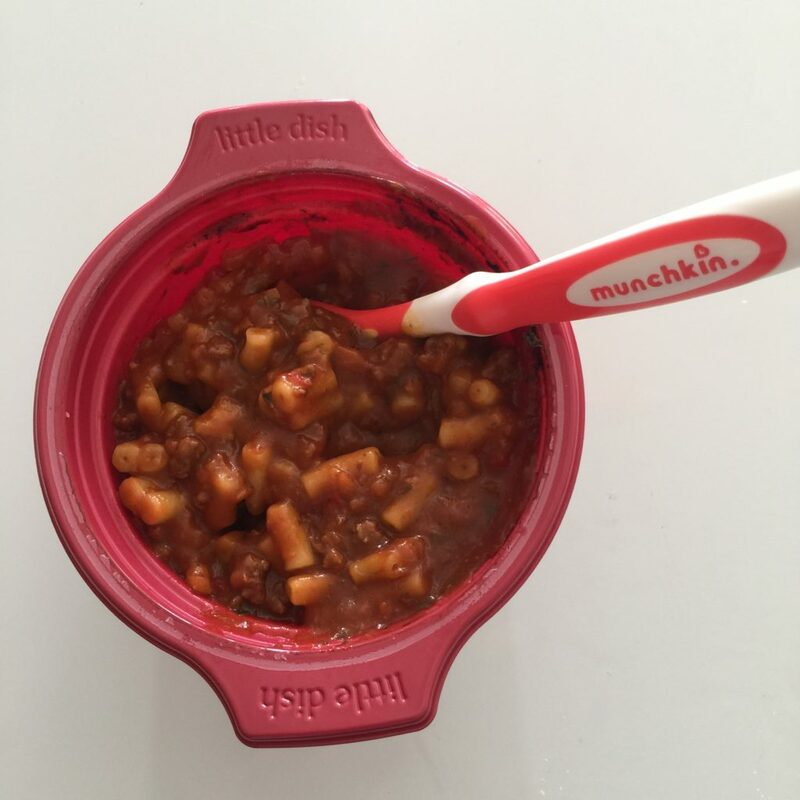 Some of the Little Dish Pots & Pies can be given as finger food (ravioli, spaghetti and meatballs), however the majority need to be spoon fed. This is great if your baby can use a spoon themselves, however Dex cannot, so most of these meals were fed, by me, with a spoon. I should also add that these meals are advised for toddlers 1 year and over, however thanks to baby led weaning, Dexter (at 10 months old) does not struggle with chewing and swallowing food like this. If you are a baby led weaner and really unhappy to spoon feed, you can of course do a pre-loaded spoon. Okay, so now that’s all out of the way, onto the review of these fab little meals. Despite my love for ready meals, I didn’t want to give them to Dex. I have been really strict about what Dexter eats and also what I eat, as I want to set a good example for him. He has rarely had pre packaged baby food and when he has, it’s mainly been fruit purees. He invariably pushes away pouches that have a savoury content and that has suited me just fine as it’s cheaper and easier to offer whatever it is that I have been eating. One thing that has concerned me though, is what Dex will eat when I go back to work full time in a couple of weeks. My mother in law is kindly looking after him and I know she is much more comfortable with traditional weaning, which is why I am now glad I have found these little meals. As well as doing everything they say above, these little meals are super easy to cook. You put them in the microwave for 2.5 minutes (resting for a minute in between) and I usually leave them to cool for 20 minutes or so. They can also be cooked in the oven but they obviously take quite a bit longer if you do this. There is such a vast range of flavours and we were lucky enough to try Mild Beef Chilli, Shepherds Pie, Mild Chicken Curry, Fish Pie, Pasta Bolognese, Cottage Pie, Chicken and Veg Risotto, Spaghetti and Meatballs and Veg Ravioli. Dexter’s favourites by far were the Mild Beef Chilli and the Mild Chicken Curry. Three of the products are made without dairy, and seven of them are made without wheat, which is great if your child suffers with food allergies. Unfortunately, only one of the meals is vegetarian which means a limited choice for those who don’t eat meat. Of course, if you are going to review a toddler meal, it’s kind of imperative that you have a little taste yourself right? Well actually, I helped myself to two of the meals. When we received the package, I was recovering from a nasty stomach bug, so one of these little meals was all I really felt like eating. I tried the Shepherds Pie and thought it tasted really great. I also tried the Pasta Bolognese the following day which again, had a lovely taste to it. At £2.30 a pop, these meals can seem a little on the expensive side, however there is currently an offer in Morrisons where they cost £5 for three meals, making them £1.66 each: an absolute bargain when you consider how much the 10m+ pouches can cost (Ella’s Kitchen is £1.91 for a 10m+ pouch and £1.90 for 12m+ meals). These Little Dish Pots & Pies feel so much more substantial than what you get in a pouch and I’ve found them much easier to warm up. Another advantage is the long dates on them. I received these samples on 11th April and the meals were not out of date until between 2-10th May which for me is important. It means I can stock up my fridge and not have to worry about overcrowding my already cramped freezer and I can avoid going to the supermarket every other day. Time is certainly of the essence when you are working full time and I’d rather not be stuck in a supermarket on my way home from work. 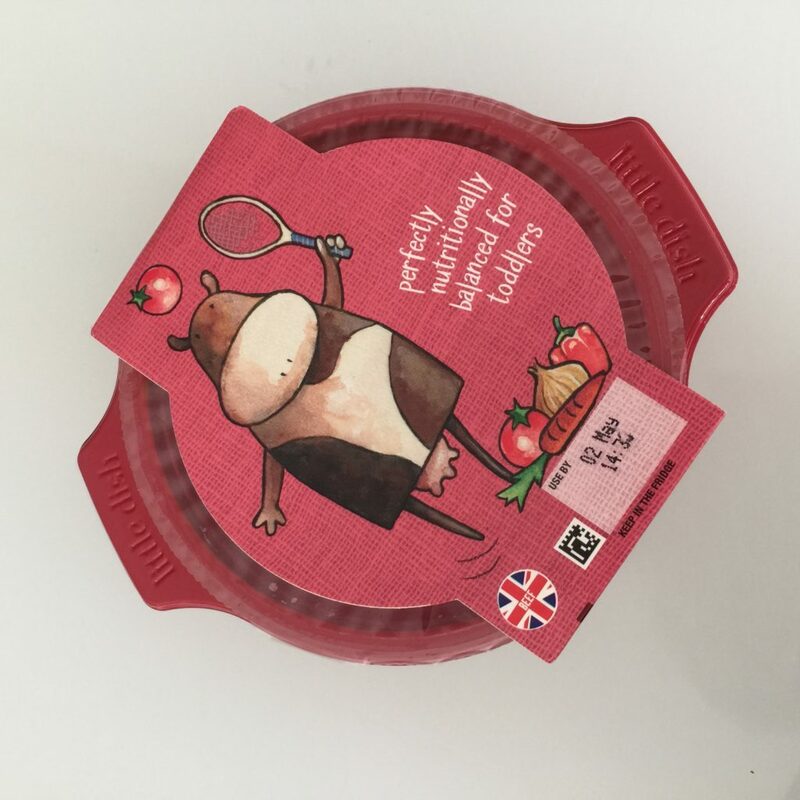 Overall, I’m really happy with the Little Dish Pots & Pies product and will be getting a stash in when I do my next online Morrison’s delivery for Dexter to take to his Nanna’s house for lunches while I’m in work. Have you tried Little Dish Pots & Pies? What did you think? Is it something you would consider offering your baby after reading this review? Let me know in the comments below. Disclaimer: I was sent ten Little Dish Pots & Pies meals to review for the Mother & Baby Awards. I was not asked to write this blog post, but was so impressed, I decided to do it anyway. All thoughts and views, as always, are my own. They look really good, I love that they come in a proper little dish (ha!) so it saves on the washing up as well! I agree, pouches aren’t popular in our house but sometimes we end up in a stand off when we’re short on time. A couple of these on standby would be perfect! These look amazing!! I love all of the options there are out there in case you need a quick meal for baby! They also are a great alternative when you are out and don’t want to go for fast food (not to mention, cheaper)! I sometimes buy these for my kids and they’ve gone down very well, especially the chilli con carne one! They seem quite flavourful without giving in to lots of additives. Thanks for linking up to #EatSleepBlogRT. I hope you join again next time. These flavours all sound really yummy – it sounds like Dex is a bit of a curry fan! Ah we loved Little Dish – so handy!